Whether you’re a fan of former President Lyndon Johnson’s politics or not, a visit to his Texas ranch is an easy and painless way to learn a little history of an era you might not be familiar with. LyndonB. Johnson National Historical Park hopes to attract families—yes, your children will enjoy the mostly-outdoors space, too—during Spring Break week. Additional programming will be offered to visitors from March 5-20 at the LBJ Ranch unit, about an hour’s drive from Austin. During Spring Break at the LBJ Ranch 2016, visitors will have multiple opportunities to explore and discover the park’s historic resources and learn more about the 36th President and his beloved ranch. Park rangers will hold programs detailing the important role aviation and the U.S. Secret Service played at the ranch. Spring break is a great time to bring the family for a visit. Children and parents alike can become familiar with Johnson’s environmental and education legacy, explore natural features of the park, and celebrate the centennial year of the National Park Service. 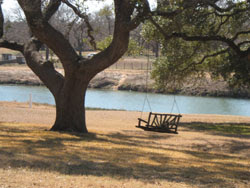 View of Pedernales River from the LBJ ranch. Park Spokesperson David Graveline noted that more than 600 visitors attended similar programs during spring break in 2015. “We are very excited to bring this unique opportunity back and have it be a bigger success than last year,” Graveline said. While there, take a regular tour of the Texas White House. These are offered each day between 10 a.m. and 4:30 p.m. for a $3 fee per adult. Children 17 and under are free. 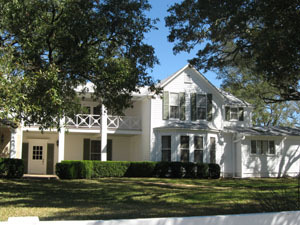 Lyndon B. Johnson National Historical Park is open every day from 9 a.m. to 5 p.m. This facility is near but separate from the LBJ Museum in Johnson City.